We offer a large selection of enclosed bulletin board cabinets. Cabinets are available in many sizes, materials and finishes. 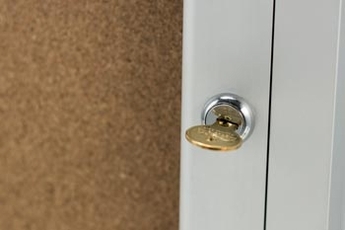 Protect your messages behind locked doors inside or outside. 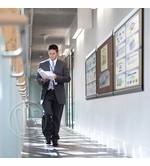 Our indoor bulletin boards are available in a variety of trims including wood. Their tack surfaces can be natural cork or customized from a selection of colored fabric. 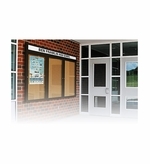 The outdoor bulletin boards have additional features to add weather resistance. You may also decide on lawn mounted freestanding units. Further options are are available to add lighting, headers. Many of these may are customizable with a selection of colored vinyl tack surfaces.